So, winter has finally hit NYC. 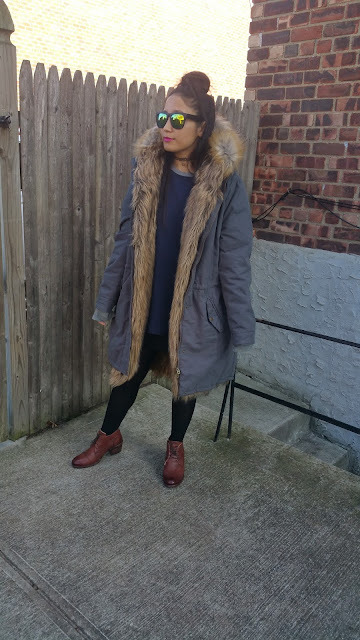 First few days of 2016 has been cold, chilly and windy so far which is perfect weather to bust out my heavy duty faux fur lined parka. 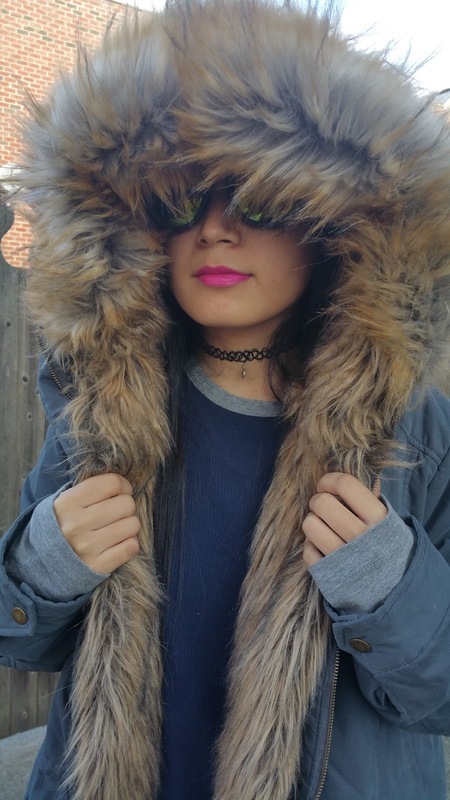 This parka is fabulous because the warm and cozy faux fur lining is removable. 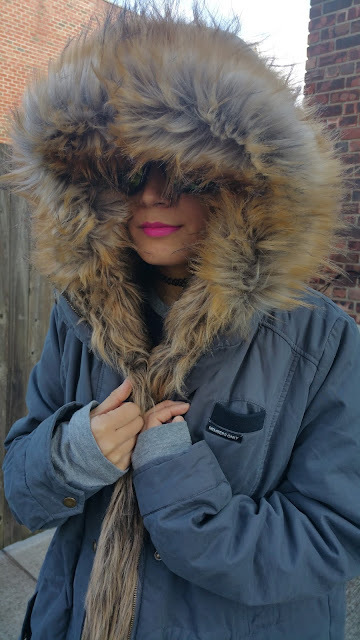 I can use it as two separate pieces - one as an oversized parka and another as a hooded faux fur vest. Underneath the parka I have on a navy and grey men's thermal and underneath that I have on a black dress. Added on a pair of heat-tech black tights because "Baby it's cold outside" with my leather booties to complete my super casual ensemble. 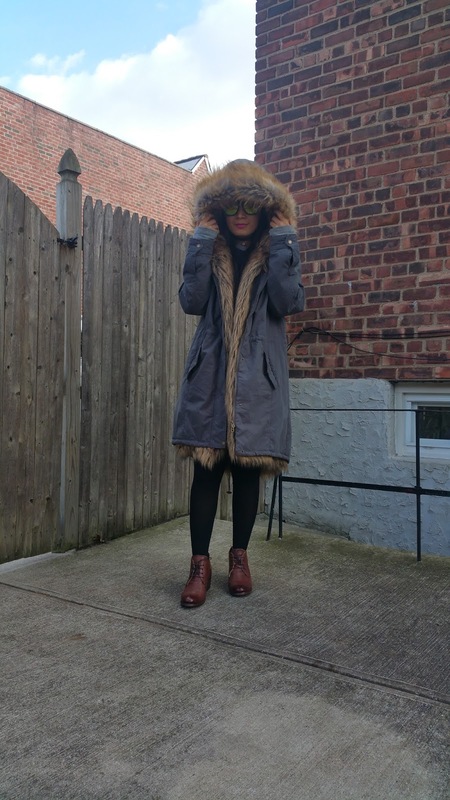 Love your parka! Looks so warm and comfy! 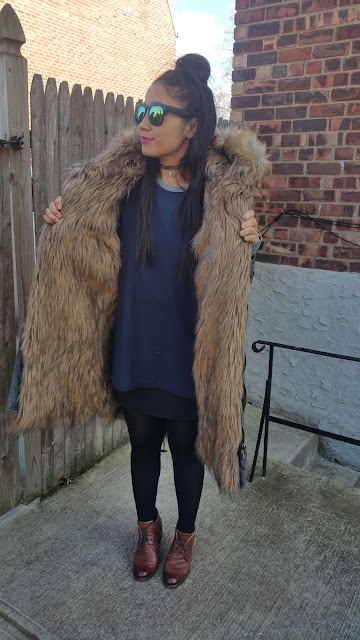 Very cute faux fur parks, yes it's perfect for the low temps! Looks great with the all black and booties. Stay cozy! And don't forget to place the sun every single day on your sweet face! hehe sooooo cozy looking !!! That first pic of you is just too cute, Vikee. Cool parka. Happy 2016!! cool parka! :) Happy 2016 ! great jacket, super for winter! Love the jacket. I remember the cold on Long Island bone chilling. 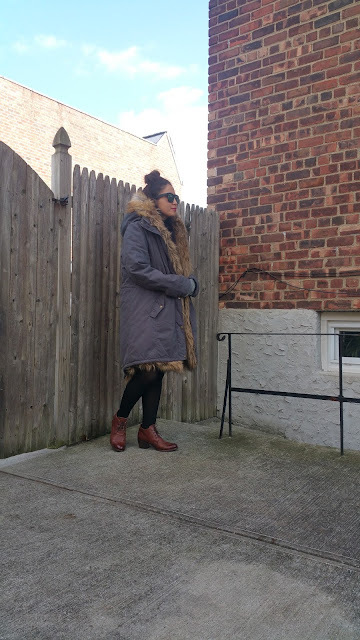 so so nice coat - perfect for colder days. your coat looks so cozy! Fantastic parka! Very chic winter outfit dear. The weather in Athens is a bit warmer those days. So it is not so winterish. Wishing you all the best for the new year 2016! you are looking great ! 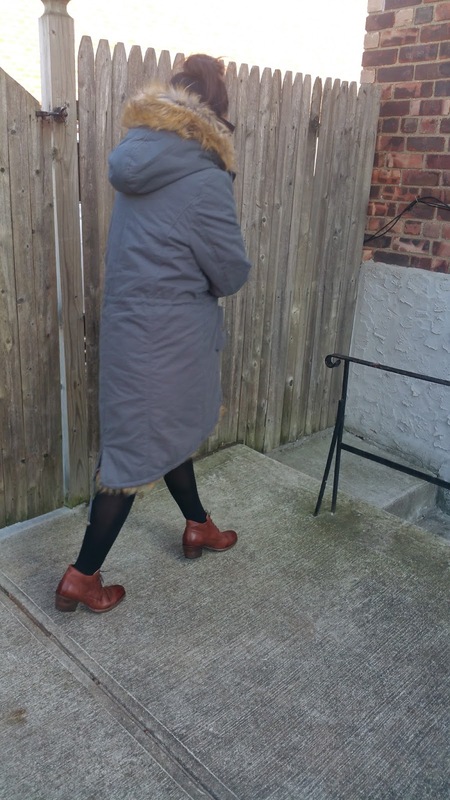 love these oversized coats they look so warm! 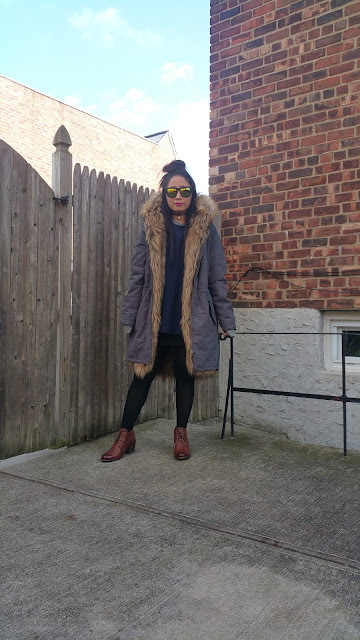 Lovely parka! It seems so warm! Great coat! It looks so warm and comfy! You are very beautiful. Here you have a new follower. A little kiss. The colour of your perfectly applied lipstick is gorgeous! It complements your pretty blue Necessary Clothing dress beautifully. love that there's a grunge ish taste in it!